“We’ve got our best security operations on this book,” said Mary Amicucci, vice president of adult trade and children’s books for Barnes & Noble. 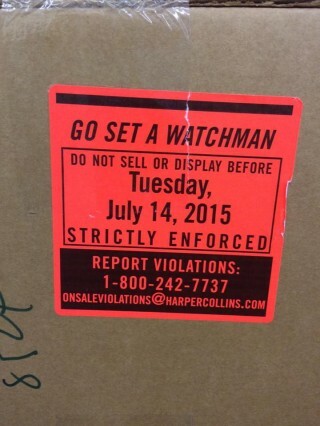 “It’s very similar to the size and scope of ‘Harry Potter.’ ” Last week, copies of “Go Set a Watchman” arrived at Barnes & Noble’s distribution centers in Monroe Township, N.J., and Reno, Nev. They were stored in secure areas monitored by closed-circuit television before moving by truck to bookstores across the country, where they would be kept in monitored areas, under lock and key or shrink-wrapped, Ms. Amicucci said. 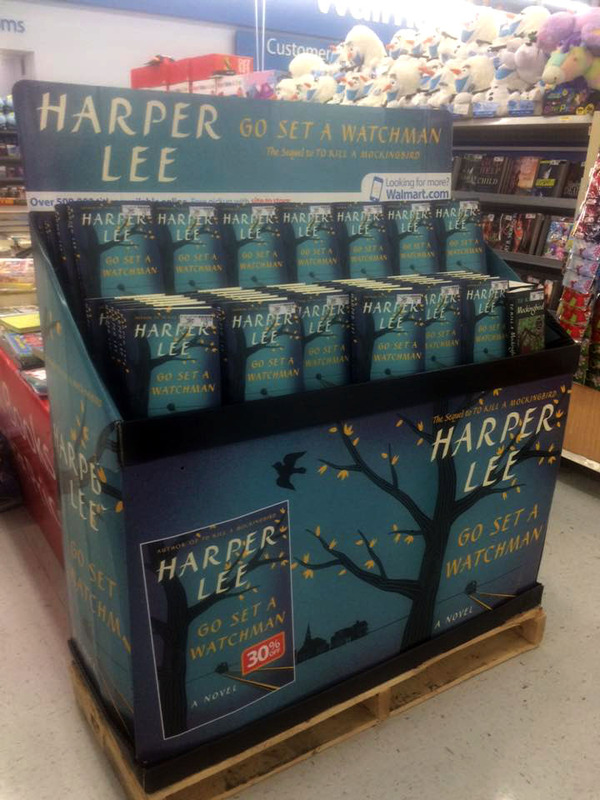 After seeing the post by Stephanie Wilkes on Facebook, librarians alerted Brian Grogan, Senior Vice President of Adult Sales at the book’s publisher, Harper Collins, and Grogan contacted the West Monroe Louisiana Walmart to ask that the display be taken down. There’s no word yet on whether it has been … which would be an answer to the long-standing, industry-wide question: Do embargoes have any teeth at all?